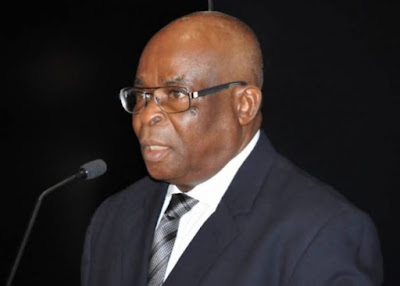 The ruling of the Court of Appeal that the suspended Chief Justice of Nigeria, Justice Walter Onnoghen face trial before the Code of Conduct Tribunal (CCT) is a vindication of President Muhammadu Buhari. The Buhari Media Organisation (BMO) has said that the ruling vindicated the suspension of the CJN. The group said in a statement signed by Niyi Akinsiju and Cassidy Madueke, its Chairman and Secretary respectively. The stated that the ruling by the Appeal Court re-affirmed the fact that Justice Onnoghen has a serious matter to answer to, and that the Tribunal has the powers to entertain that matter rightly, and as such also has the power to make an order for his suspension pending the conclusion of the matter. The group also noted that the ruling of the Court of Appeal led by Justice Abdul Aboki, further affirms that: “the call by Paul Usoro (SAN), chairman of the NBA that the courts be boycotted showed that the man who heads the Nigerian Bar Association (NBA) lacks an understanding of basic principles of the rule of law and does not appreciate the issue of jurisdiction of courts to matters. “We also commend the various NBA branches that did not heed the senseless call for a boycott, but went ahead to attend court sessions and honour their clients and the temple of justice. The BMO also called on the NBA Chairman to recuse himself from membership of the National Judicial Council(NJC), stating that a man who is facing serious allegations of corruption with the EFCC should not be found deciding the fate of people with similar moral burdens. The statement noted that the NBA Chairman had also brought disrepute to the association, stating that the NBA was becoming an institution of ridicule because of the tainted leadership of Paul Usoro. “This should not be so as the association is made up of thousands of members with honour and integrity who should not be identified with corruption”. The group noted that Paul Usoro was now also using the NBA as a tool to fight the institutions fighting corruption. The group noted that the call for a boycott of courts by Paul Usoro was indeed corruption fighting back. The group stated that Paul Usoro already had a damaged reputation, and lacked moral authority to lead the Nigerian Bar Association, stating that his leadership was bringing the association to disrepute.